Hi there! Thank you so much for joining this fun crochet along! 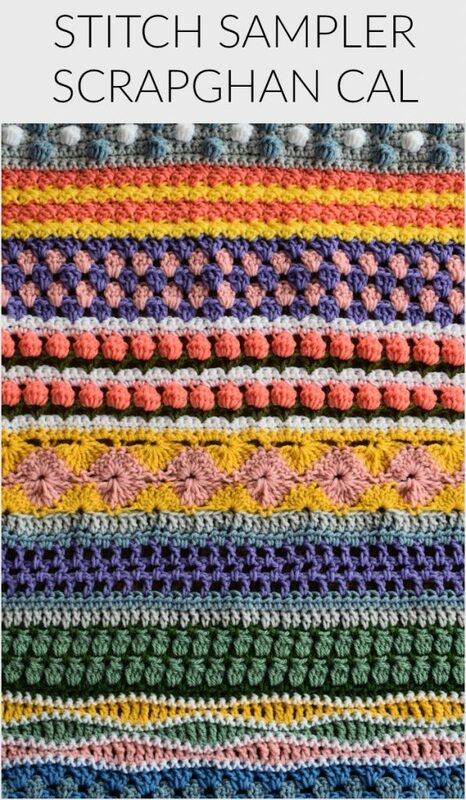 We will be making a blanket over the course of 16 weeks that is perfect for using up your scrap yarn! You can find all the details HERE. NOTE: to change the size ch a mult of 12 + 2. This count will work with most stitches. Some may need a few adjustments. I wish there was a share on this so I could send the instructions to myself. I have to write all the directions down. (as I did for the hats) because for some reason, during the week, I lose them! They just disappear! Thank you for sharing your patterns now I think I can go forward to use up all my yarn in my stash. I also knit and sew. This is my first crochet along, but I’m wondering if I can make a shorter project by doing fewer stitches. Any suggestions? Thanks. I’m looking forward to trying these, what fun! Hi! If you ch a mult of 12 + 2 most of the stitches will work. You might have to make some adjustments for a couple stitches, though. Im am very new .Im not able to read the instructions yet. Is there a “how to do ” Video so I can make this step by step. In the photo there are two different color yarns but in the instructions there’s no mention of color change. Can you explain which rows you made the color changes on? Thanks! Hi! I changed colors for rows 3 & 5 🙂 I won’t mention color changes in this pattern because everyone’s yarn stash is different and will use a different number of colors for their blanket. I started my CAL tonight. I’m using pink and yellow which looks springlike and pretty together. Looking forward to the 16 week project. 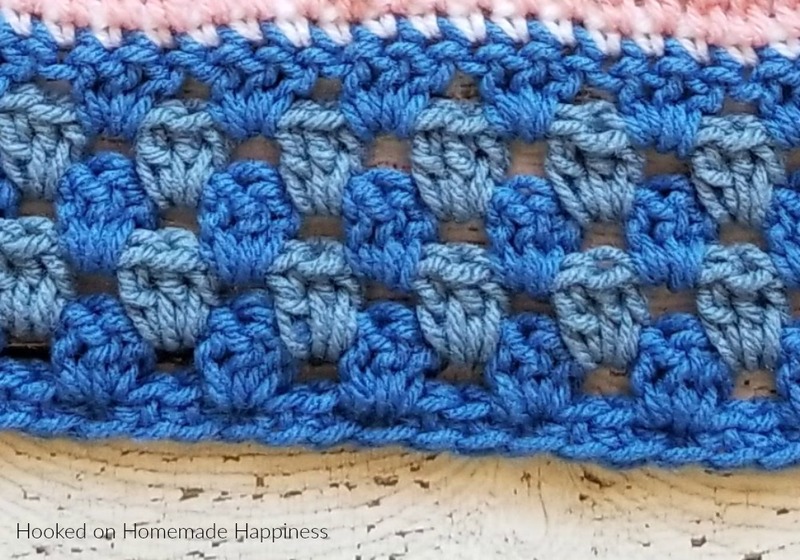 What row in the granny square pattern should you switch colors? And i could not find any of my 6mm crochet hooks using 5.5 cause i couldnt find my 6 or my 6.5 will that matter very critically in the pattern? I have 55 CL at end of row 3 but only 55 end of row 4 ( should be 56) frogged it twice and I get the same each time😩 any suggywhat I might be doing wrong please? 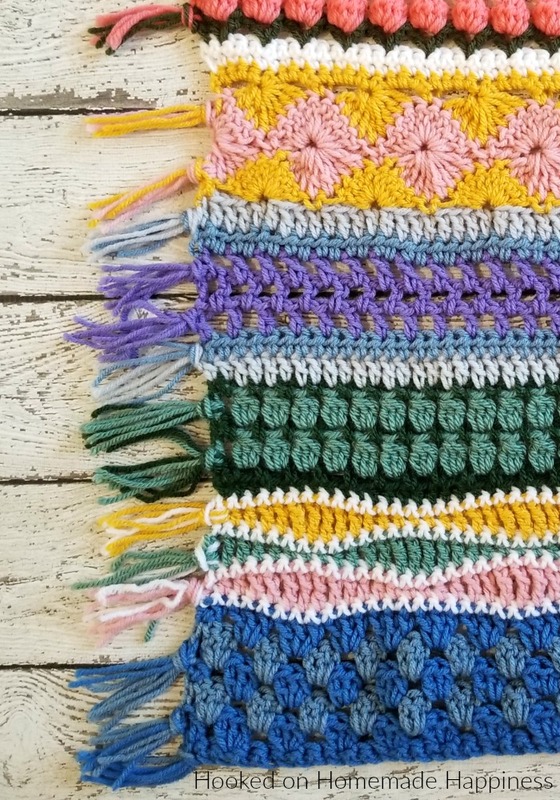 Over the course of the 16 weeks and using the beginning chain here, what is the projected size of this CAL Sampler Scrapghan? Hola! Por favor, podrias hacer video con cada punto que haces o tal vez el grafico? No se ingles y al traducir no es bueno. Desde ya muchas gracias por tu atencion. If it will help, I always save each week to my Pinterest account. Then I have it forever and can refer to it quickly. I really enjoy the cals here. Thanks for a fun project. Breann, so glad I found you. Love your style and excited to follow your site. Thankyou Breann your patterns really inspire me to do more crocheting and I already do heaps. I am 71 and still loving it.